Don’t let a burst pipe or clogged drain prevent you from enjoying your weekend. Get fast solutions from Fox Plumbing & Heating by calling us today at (206) 654-4990 from anywhere in the Bellevue area. We provide premium service at competitive prices for variety of routine and emergency plumbing and sewer issues. Contact us today, and we will send one of our experts over right away. Specializing in side and trenchless sewer repair, tankless water heaters, drain cleaning, leaks, re-piping and more. Click here to access our latest coupons and save on your next service in the Bellevue area. 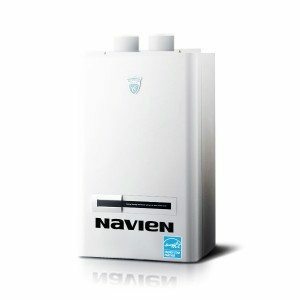 Looking at a Tankless Water Heater? Is your current water heater on the verge of breaking down? Want to save on hot water costs? Let us help you install a new, energy-efficient tankless water heater! Fox Plumbing & Heating is an authorized dealer of Navien products, but we install and repair all brands and models. While you can save a considerable amount of energy by switching to a tankless unit, this option is not for every household. Contact us today to find out if installing a tankless water heater is the right move for you. When Do You Need to Consider Whole House Repiping? Fox Plumbing & Heating provides high-quality repiping services that guarantee improved water pressure, reliable water flow, and more efficient use of your plumbing fixtures. We only use high-grade materials such as copper and PEX and ensure that our work complies with local building codes. Need Professional Sewer Line Repair? Trust your vital plumbing lines to Fox Plumbing & Heating. We carry out quality sewer line repairs that will return your home to normal in no time. Why Choose Fox Plumbing & Heating? David Brown established Fox Plumbing & Heating in 1964 with a focus on providing value to our customers. This means we respect your time and your property. You can count on us to arrive promptly, carry out high-quality solutions, and address all of your concerns so there are never any surprises at the end of a job. We treat all service calls with the same urgency, whether it’s a clogged drain or a leaking water heater. No problem is too small or too challenging for us. Trust your plumbing to the experts at Fox Plumbing & Heating! Last summer while we were traveling our water line from the meter to the house developed a large leak. Luckily it was noted by the Bellevue meter reader and he left a tag on the door. Our son-in-law stopped by to check on the house the next day and was able to shut the water off at the meter. He created a temporary repair to waterline. We had delayed the permanent repair because of the disruption to the landscaping and pavers that the excavation would require. We found out about trenchless technology over the radio and investigated companies offering this technique. Fox came to the top of the list, and they were chosen to do the job. Jose and Tom were on time to start the job. The ware line was replaced in about three hours and ready for inspection. Copper tubing was used to replace the original plastic pipe, and we were only without water for only an hour. The inspection was done early the next morning before Jose and Tom arrived. They backfilled the meter box and were done in a couple of hours. They did such a good job that one would have to be told that the line was replaced because you would not see where their work was done. None of the pavers, landscaping or the nearby fence were disturbed at all. We highly recommend Fox Plumbing and Heating. 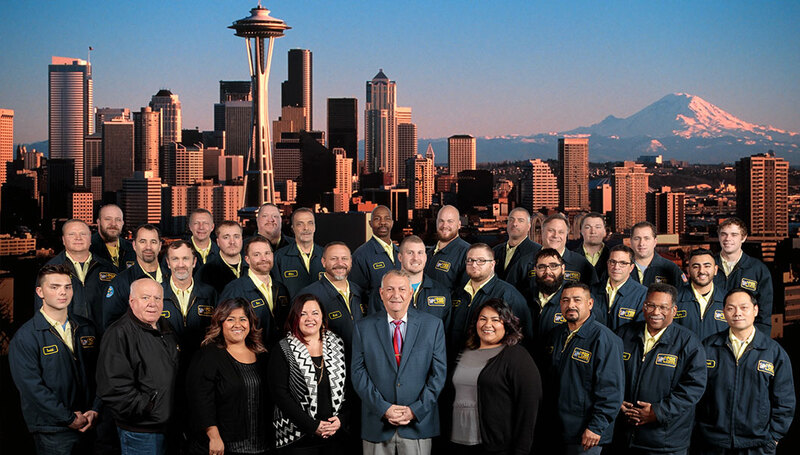 Call us today at (206) 654-4990 to schedule an immediate appointment with our team in the Bellevue area. We carry out thorough inspections before starting on any work so we can provide you with the best solution possible.